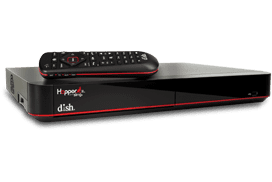 The most popular satellite TV package from DISH! Enjoy over 240 channels of programming, many in HD! 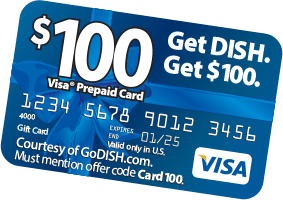 The America’s Top 200 DISH Satellite TV package is a great deal for those who want a deeper channel line-up at a great monthly price. America’s Top 200 package is designed for those who want a more robust channel lineup at the best value. It’s also our most popular channel deal due to the value! What exactly is so great about this package? Find out below! DISH Network’s Top 200 Package is the top value in television programming. Featuring more than 240 channels, this package is a great value at only $79.99 per month. Plus, your price is locked in for two years! See the channel lineup list to the right for details. America’s Top 200 is a consistent favorite among customers for good reason: it’s the best value and quality for your money. This package includes the same exciting DISH channel selection from our Top 120 Plus package with additional must-haves such as Disney Jr., Hallmark, Cooking Channel, Animal Planet, and major league sports networks (like NBA TV, MLB Network & NHL Network). Need to watch the season’s biggest games? Add the Multi-Sport Pack with NFL RedZone! Want to listen to music or planning on throwing a party? Need groundbreaking original entertainment? DISH lets you indulge in premier series with shows like “Billions”, “Homeland”, and “Ray Donovan”, plus box office hit movies. That’s because when you sign up for America’s Top 200, you’ll also get Showtime FREE during the first three months! You’ll also receive a free three-month trial of DISH Movie Pack. Tune into the genres you love on 35 channels of SiriusXM Satellite Radio, which is included with America’s Top 200 package from DISH!